These are the Erwin approved documents we use! Warning: Don't mess them up! This is the Google Docs template for presenations. Make a copy of the template and customize it with your own text. 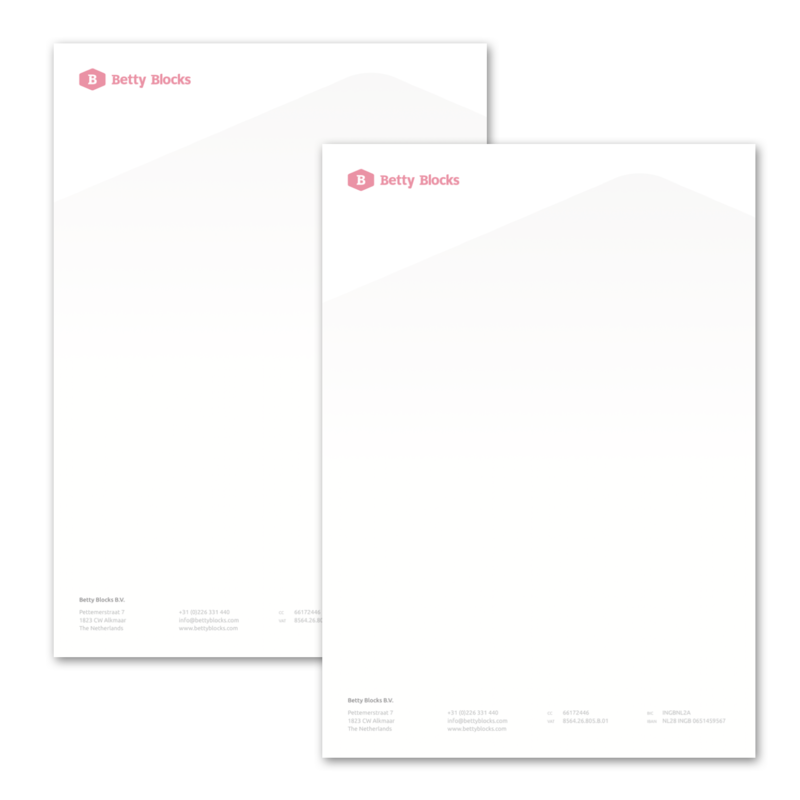 Coming soon: Here you can find the documents we use at Betty Blocks. Pricing sheets, quotation templates, service contracts, and off course the Pages/Google Docs templates. For now you can find our letterheads. Now you are Betty Branded!